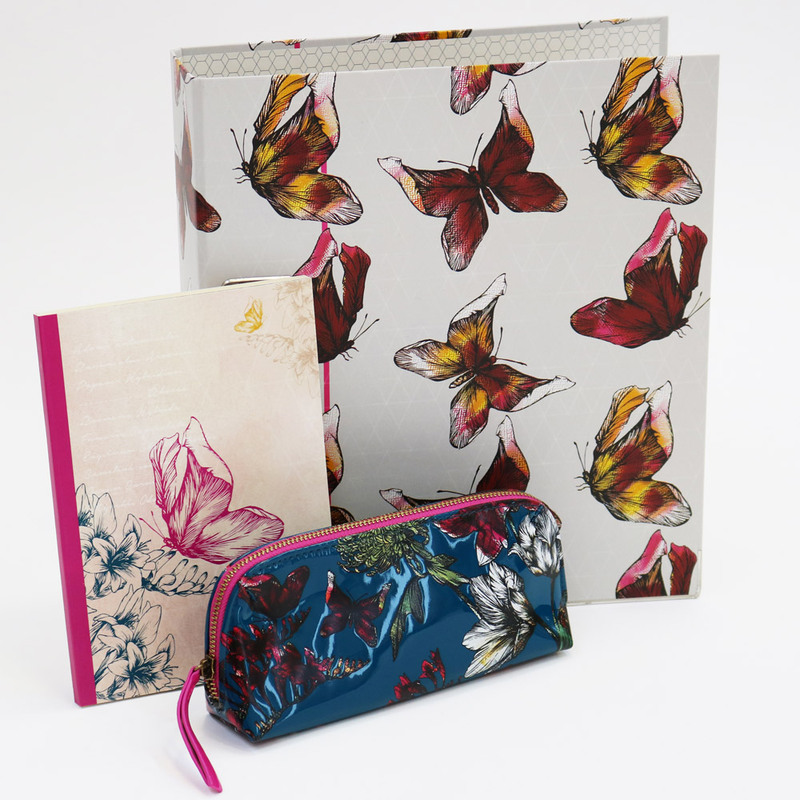 The brief was to create a combination of fashion prints based on proven archetypes of butterflies and flora that can be used in the design of decorative products, with a broad appeal across several customer profiles and age groups. Botanica is a collection of intricate patterns designed for the Wilko 2015 Autumn Winter ranges used across Home, Stationery and Christmas gifting. We researched the techniques of trend-led prints in fashion clothing and health and beauty, identifying half tone, pixilation, and botanical sketching as the direction. The client brief indicated that the patterns would be printed on a wide range of product types and substrates, so we considered how the artwork would be produced, and used a limited number of colours to make the designs adaptable.